PFTT Command - Run this command in the PFTT Shell to reproduce the same tests. Use the `rg` command to get the same release if you don't already have it. Download and install PFTT from https://qa.php.net/pftt.php. 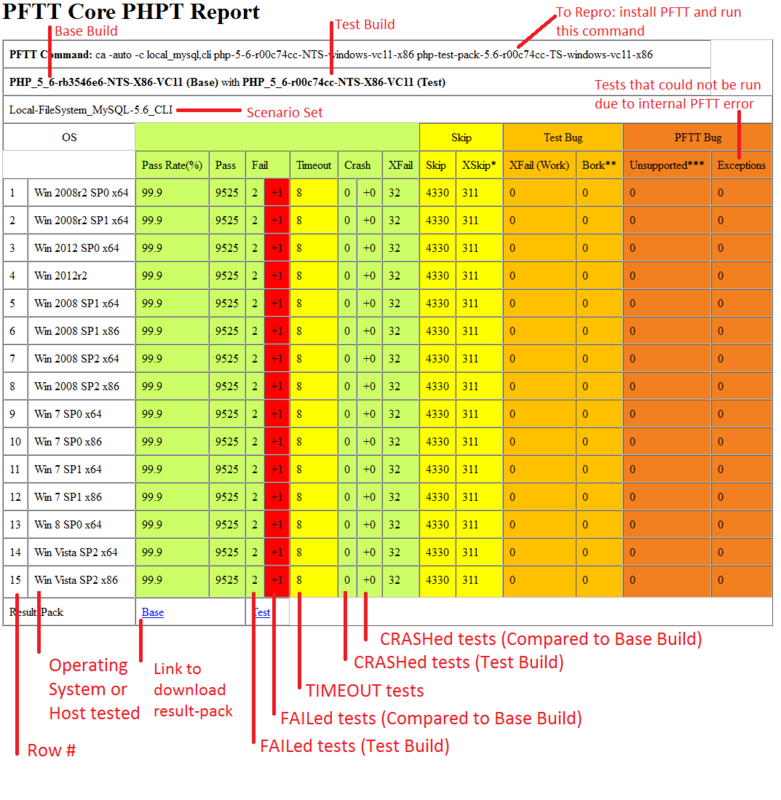 Report compares ERROR, FAILURE, TIMEOUT, CRASH and PASS for two PHP Builds, the Base Build with the Test Build. A +X indicates the count increased from Base to Test. A -X indicates the count decreased from Base to Test. If the difference is good, it is shown in green (fe increase in PASS, decrease in FAIL). If the difference is bad, it is shown in red (fe increase in FAIL). Result-Pack All the test logs are compressed into result-packs, which can be downloaded using the two links in the report.